Here is everything you could ever need to do a full face glam makeup look! 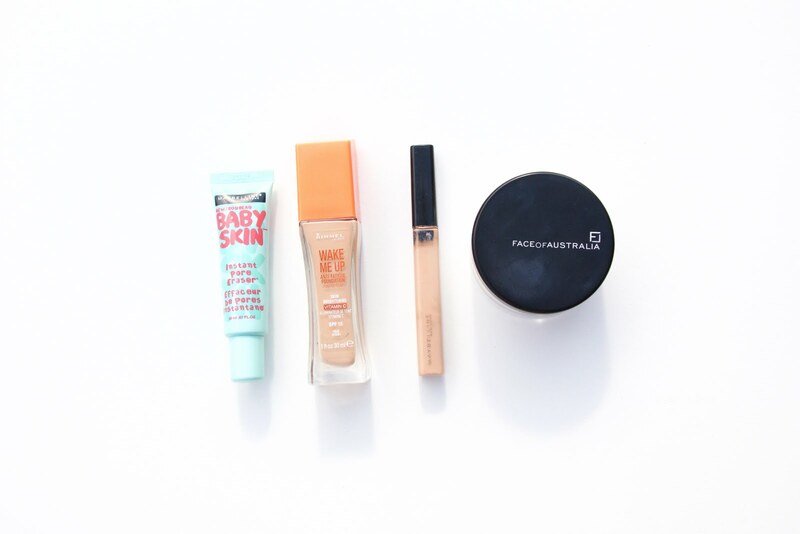 You do not need all of these things to start wearing makeup! This is every piece of makeup you could ever need! The 10 items that are listed above are the basic makeup products that you can have in your collection. The products I have in these pictures are not the exact ones that you need! You can buy any products you want! There is a lot of makeup out there at all different price points. You do not need to spend thousands of dollars just to start wearing makeup! This is a basic and cheap guide to some of the makeup items that come in handy when completing a full face of makeup. I calculated how much everything in these photos would cost and it all came under $150. I know that is a lot of money, but when you think about high end foundations that can cost up to $90 each it is pretty great! I got all of the prices from Priceline, you could make all of this makeup much cheaper if you bought these items on sale! In fact you could have the price if you waited for a 50% off sale! All of these products are currently in my collection and I enjoy using all of them. I do not wear a full face of makeup everyday but when I do I use all of the 10 items that were listed above! Once I had all of these makeup items in my collection I started buying different variations of the products and trying out different brands to see what I liked best! If you are currently stuck on the makeup items that will come in handy for you I really hope this post helped you out in some way! You will find everything you need in the first picture! I totally forgot to mention lipstick! Lipstick is not the most important but it can really add to your makeup looks. 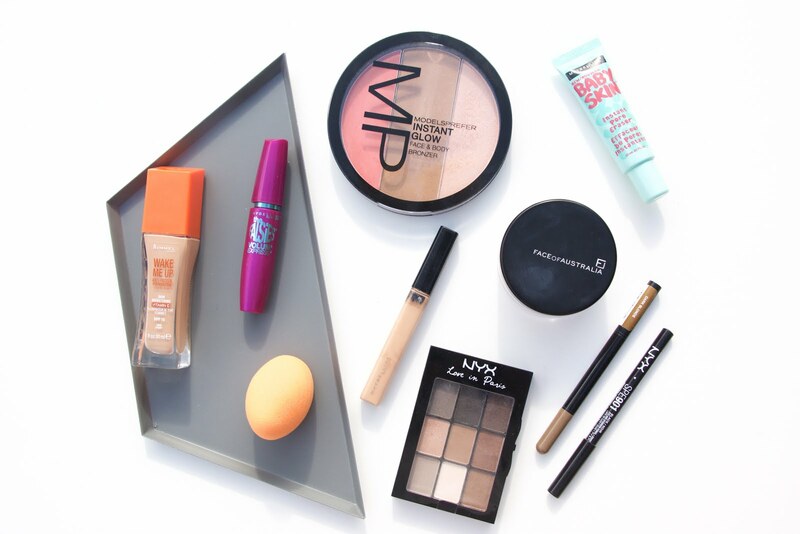 In the above picture you will find everything you need for your makeup base. You start of with a primer this is a very important step that will help all of your makeup go on a lot smoother! Then you go in with a foundation and a concealer! 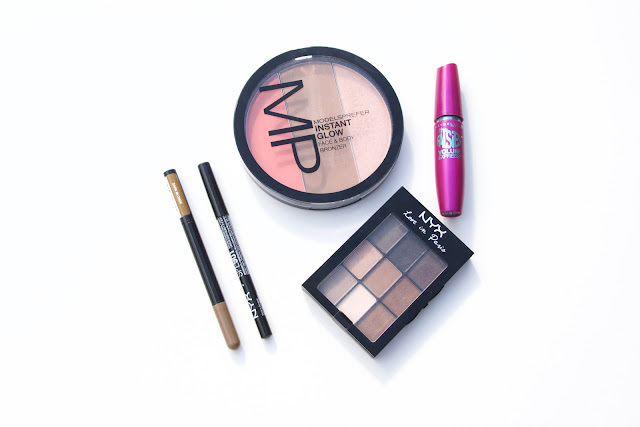 Lastly for the base you set all of these products with a face powder! This is your base set and ready for colour! Starting with an eyebrow pencil! This just helps your whole makeup look come together in the end! If you have very little eyebrow hair this will help to make your eyebrows look fuller. Then I have a bronzer, blush and highlight set! You can get all of these items individually. However, I find when starting out with makeup buying things in sets is very handy as all of the colours go together very well and you don't have to think to much about what you are doing! These products will give shape to your face and make you look healthy and glowing! Next is eyeshadow! Once again this is an eyeshadow palette! This is probably the best thing you can buy as a beginner as you can create so many eye looks! Now time for eyeliner! This is something you could skip out on if you didn't want to go all out! I hardly wear eyeliner now! Lastly is mascara! There are heaps of different mascaras around that all do an amazing job! Mascara is usually the first makeup item people buy! I hope someone found this post even the slightest bit helpful! I feel like it was as bit all over the place, if someone enjoyed reading it I am happy! What is your most used makeup item?